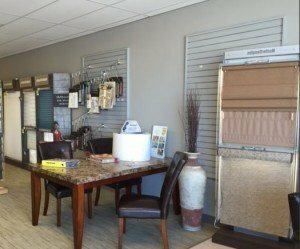 View Our Wide Selection Available at the Blind & Shutter Store Showroom! 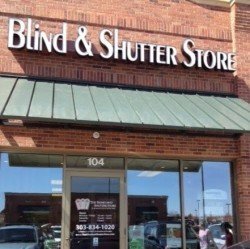 The Blind and Shutter Store offers a variety of window treatment products in the Greenwood Village, Colorado community to make your home more comfortable, stylish, and energy efficient. Our products are more than just window coverings. They add beauty, provide light control, protect your home from damaging UV rays, insulate rooms against temperature fluctuations, and even improve a room’s acoustics! At the Blind and Shutter Store, we offer high-quality window treatments that deliver dramatic style and ultimate light and privacy control. Your Greenwood Village home is one of your greatest investments, and we want to help you find the window treatments that are the perfect fit for your family in a stress-free environment. Stop by our impressive Denver area showroom, and the experts at The Blind and Shutter Store will help you find the best window treatments for your home. We are committed to your experience and offer a free perfect-fit measure on every order. Our products are backed with a limited lifetime warranty (please call for warranty details). At The Blind and Shutter Store we provide the personal service you deserve. Visit our Denver area showroom today to see the incredible line of window treatment products we offer. Changing Your View from the Inside Out! If you’re looking for diverse and multi-functional window treatments, horizontal blinds and vertical blinds may be the ideal window covering for your Greenwood Village home. The Blind and Shutter Store has an incredible variety of horizontal blinds and vertical blinds to choose from, whether your style is sleek and contemporary or more traditional. Our line of sheer window coverings transforms harsh direct sunlight into soft illumination. The Blind and Shutter Store’s collection of sheer window treatments – including shading, sheers, and panels – showcases an incredible selection of textures and fabrics. Each provides subtle sheens and dazzling sunlight for every room of the house. The soft, luxurious folds of Roman shades can add elegance to your Greenwood Village home while still providing light and privacy control. With both horizontal and vertical orientations, you can control which unique look works best for your space. Roller Shades can offer a simple, clean look for your Greenwood Village home. With hundreds of fabric weaves and colors to choose from at the Blind and Shutter Store, roller shades and roller screen shades will enhance the unique style of any room while still maintaining privacy and illumination. The natural beauty of our woven wood shades will pair perfectly with the natural light that fills your Greenwood Village home. Woven texture shades can give you the simplicity of nature as well as the light control of high-quality shades. Cellular window Shades are energy-efficient window treatments that can offer dramatic style options. 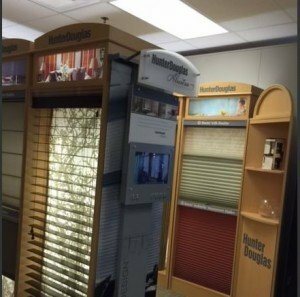 The Blind and Shutter Store offers a variety of fabric and color options for cellular window shades that will beautifully match the paint, wallpaper or furniture in your Greenwood Village home. Style and function combine in our many versatile shutter options at the Blind and Shutter Store. Shutters are an obvious choice for window treatments if you’re interested in raising the value of your Greenwood Village home. Window shutters will also provide light control, privacy options, and a stunning design statement. Add optimal light filtration to your Greenwood Village home with the warmth and style of drapery fabrics. Draperies can create a classic style or a more modern look while still giving you the highest quality privacy and room-darkening abilities. If you are looking to upgrade the window coverings in your Greenwood Village, Colorado home, contact the Blind and Shutter Store today to get started!